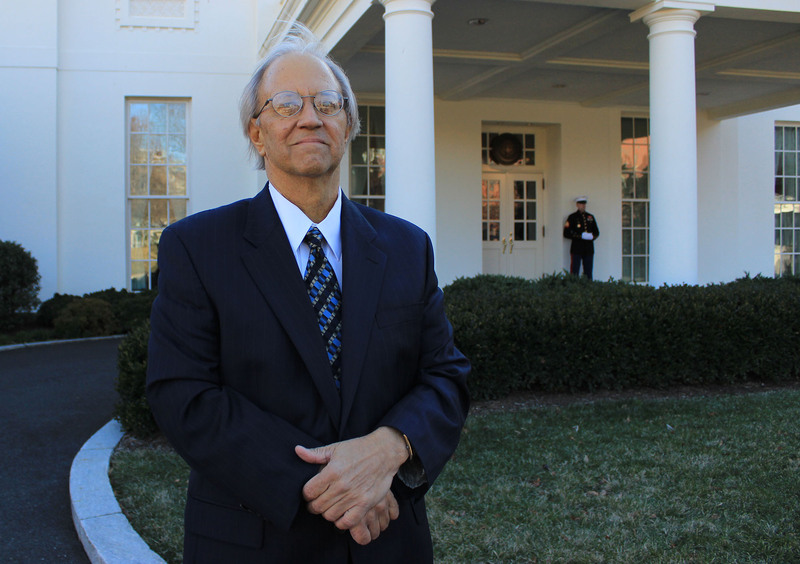 WASHINGTON – When Phoenix resident Don Kuk wrote President Barack Obama to share his Affordable Care Act success story, he thought he might get a form letter back from the White House. He got more than that. The visit was timed to coincide with a House vote to repeal Obamacare, an action the House has taken repeatedly and which the president has vowed to veto if it ever gets out of the Senate. Obama said Tuesday’s meeting was to showcase people who have “directly benefited from the Affordable Care Act” and “whose lives have been impacted in powerful ways,” according to a White House transcript of the meeting. Before Obamacare, Kuk, who is self-employed, had a private catastrophic health plan but he rarely went to the doctor because he feared it would impact his health-care costs. “I was almost afraid to go to the doctor because I didn’t want to get on my record that I may have this condition or that condition,” Kuk said. He enrolled for coverage through the federal marketplace in December 2013, and scheduled a routine physical in January 2014. That plan, which was broader than his old catastrophic plan, included coverage for a free colonoscopy that revealed a large tumor. The cancer was in stage 1 and doctors were able to remove the tumor completely during surgery in May. Kuk wrote Obama just nine days after his surgery to thank the president for his work on the Affordable Care Act. 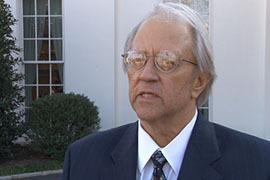 Last week, he got word from the White House that the president wanted to hear more about his story. But a few hours after that meeting, the House again voted to repeal the Affordable Care Act – something the lawmakers have done more than 50 times, according to the White House. Tuesday’s attempt passed largely along party lines, 239-186, with only three Republicans crossing the aisle to join Democrats opposing the repeal. But opponents of the law argue that it is both costly and that it forces people to buy into a government program when they may not want to. Kuk said that if the Affordable Care Act were to be repealed, he would likely lose his coverage or face steep premiums because he now has a pre-existing condition. But repeal still faces a tough road – if it passes in the Senate, Obama will almost definitely veto it. “In every respect, this is working not just as intended but better than intended,” Obama said, according to the White House transcript of Tuesday’s meeting. More than 170,000 Arizonans had signed up for health care through the federal marketplace as of last week, according to the latest numbers from the Department of Health and Human Services. The current open enrollment period ends Feb. 15. 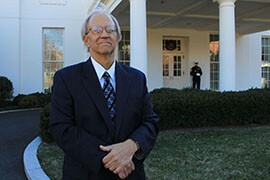 Phoenix resident Don Kuk outides the West Wing of the White House after meeting the president. Kuk said coverage he got under Obamacare detected cancer in time for him to get treatment. Phoenix resident Don Kuk got a ''once in a lifetime'' chance to meet President Barack Obama after he sent the president a letter talking about his ability to get health care under Obamacare.